20 Reasons To Use Concrete: New Updated Version Out Now! 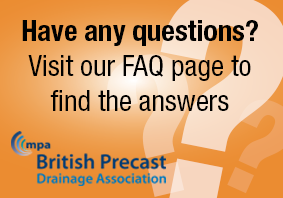 Since the formation of the British Precast Drainage Association from the merging of the Concrete Pipeline Systems Association and the Box Culvert Association, the case for precast concrete drainage systems is stronger than ever. 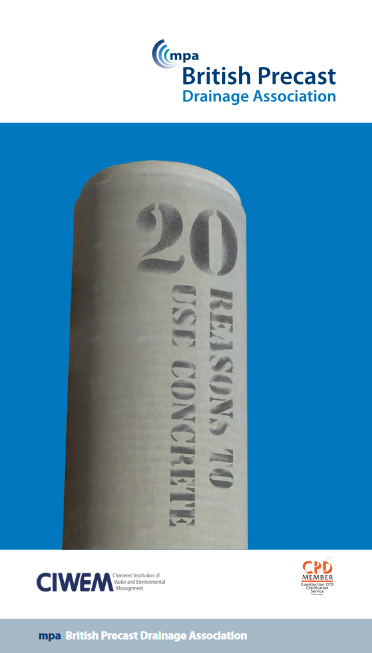 The new updated version of 20 Reasons to Use Concrete brings together in one useful booklet key benefits and references for precast concrete pipes, manholes, box culverts, sustainable drainage systems (SuDS) and other related drainage components. To download the booklet please click here. Or to request a hard copy please complete the Literature Request Form.